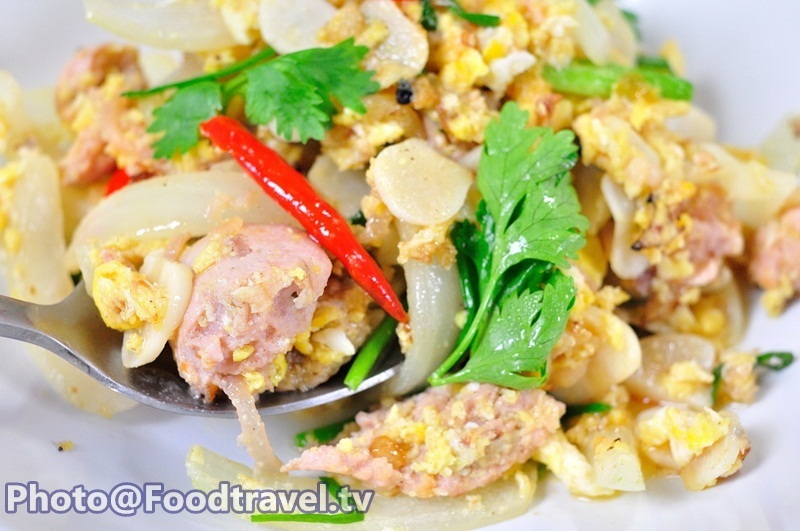 Stir Fried Sour Sausage with Garlic (Namm Pad Kra Tium Tone) - Stir Fried Sour Sausage with Garlic is a simple menu with sour, salty, sweet taste. 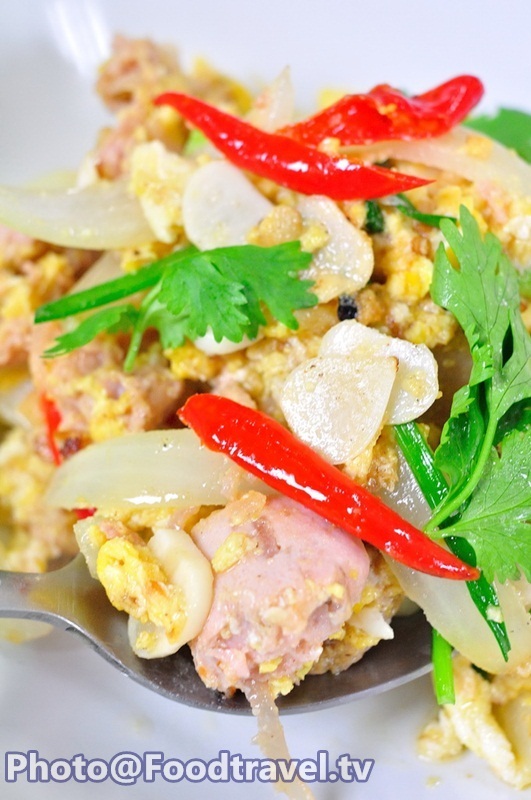 If you love pickled garlic, don’t miss this menu. 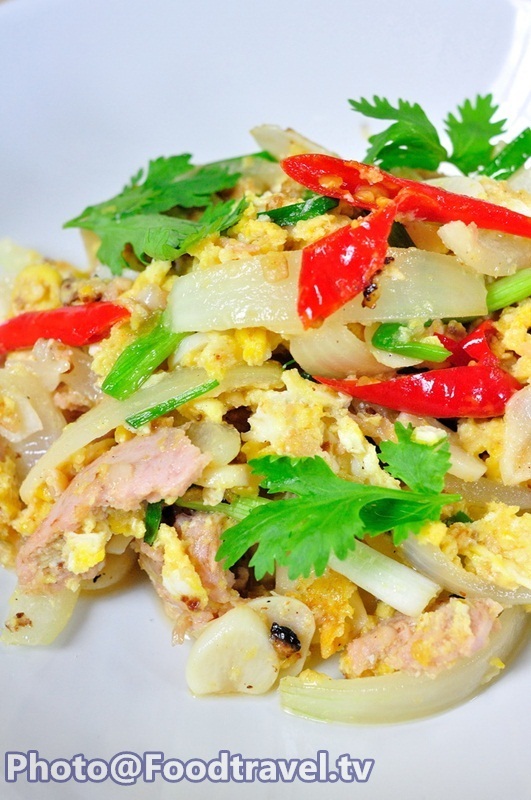 It’s easy to make and you can stored in the refrigerator for several days. 1. Heat the pan, add oil and stir egg about 80%. And set aside. 2. Drop oil into the pan. 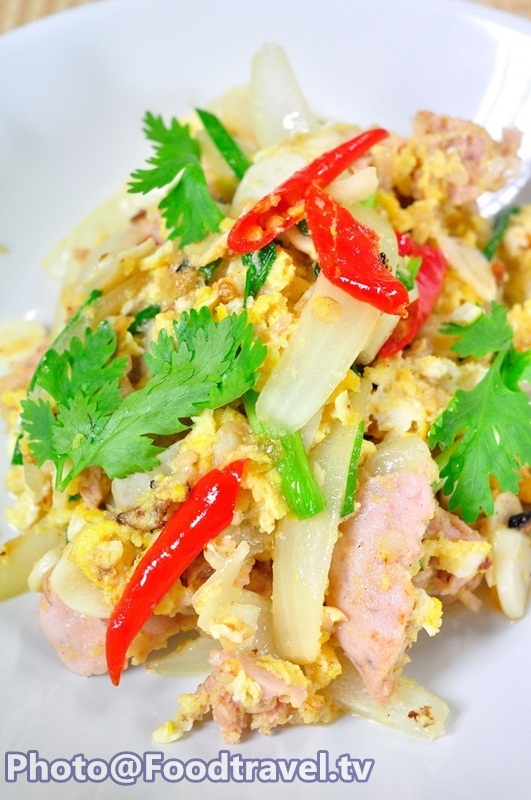 Add onion, dried chili and sour sausage to fry with oil. 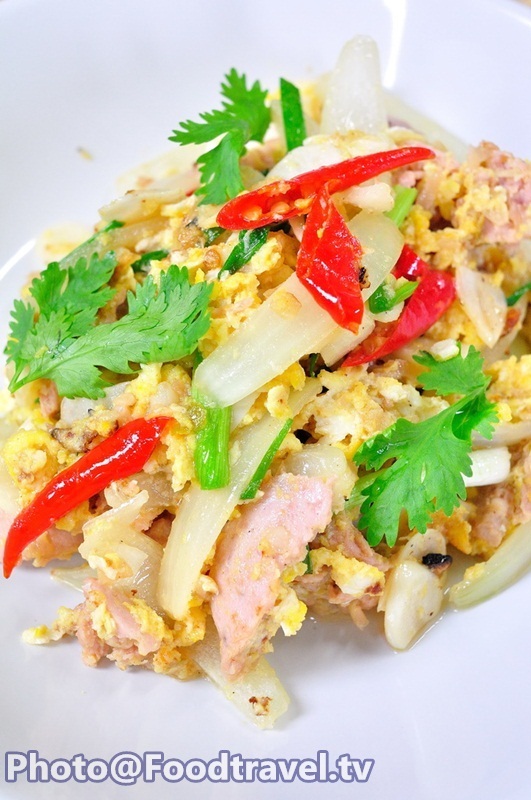 Then add pickled garlic, egg and season with fish sauce, pickled garlic juice. Add spring onion and mix together. Ready to serve.